We’d like to express our gratitude for everyone’s support. We’ve made some tweaks to the site and now the pages are loading extremely fast. We’re still experiencing some downtime but not to the extent of last week. 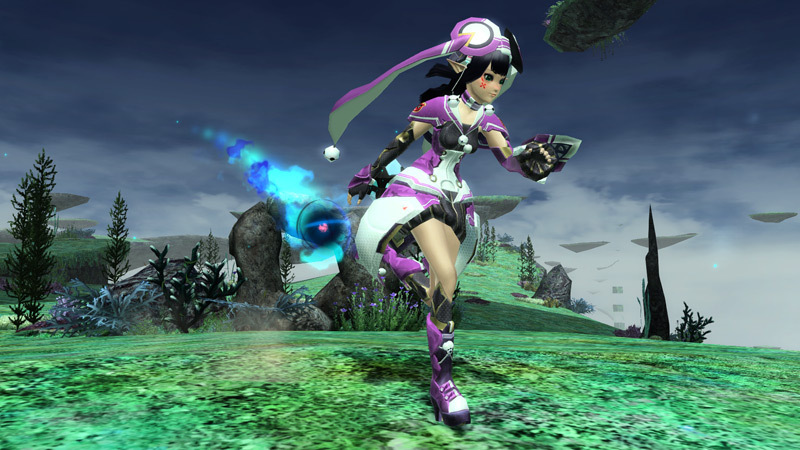 Please consider supporting our ongoing Phantasy Star coverage with a donation of $1 or more. Matoi and her client orders have been added to the Character Catalogue! The Weaponoid Costume General Election returns, this time splitting male and female costumes in separate divisions. 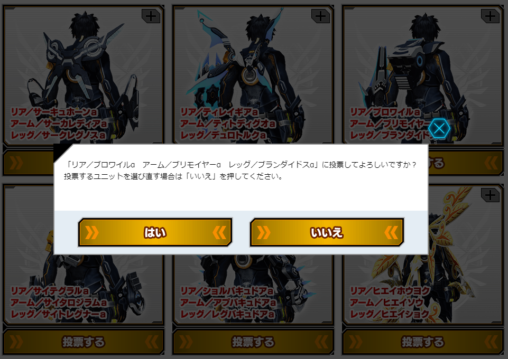 Players will have the opportunity to vote once per day in each division for their favorite weaponoids. 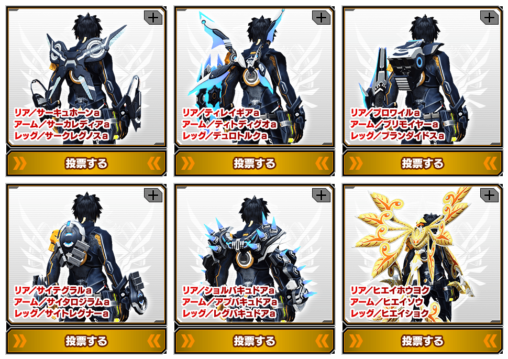 After the final votes have been tallied, the winning weaponoids will have their costumes appear in a future update. You may vote once per day in each costume division. 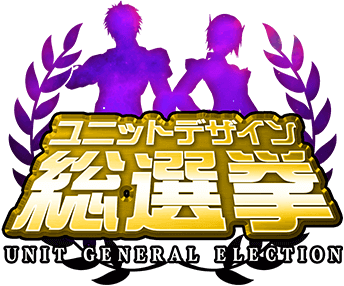 The brand new Unit Design General Election makes its debut. 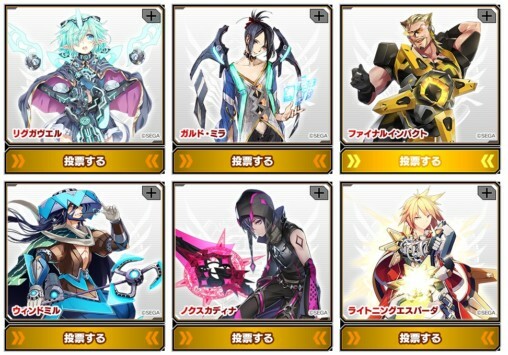 Players will have the opportunity to vote once per day for their favorite unit sets. After the final votes have been tallied, the top units will appear in a future update as accessories. You may vote once per day. Clear the following Story Quests to receive prizes to the visiphone. 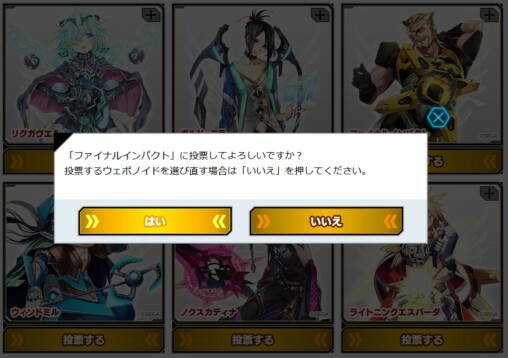 Both Story Quests (2) must be cleared to receive the EP0 Memory. Clear the client orders on the appointed day to receive rewards instantly at the Visiphone. Rewards are distributed instantly to the Visiphone upon clearing the Client Order. You have until 23:59 JST on the appointed day to complete the task. Bonus Rewards are distributed late November. The following quests will receive an EXP and RDR boost while beefing up the enemies. 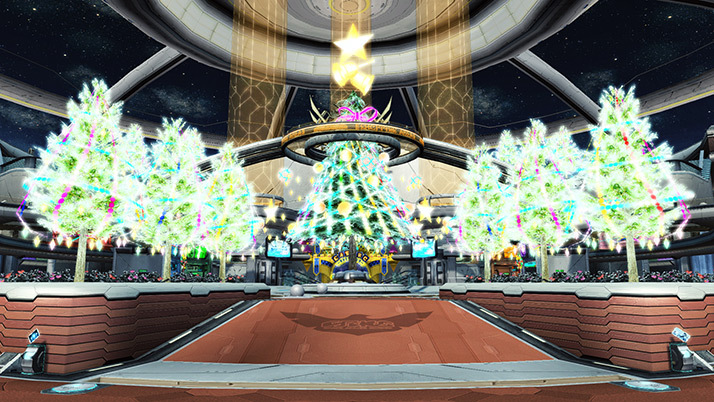 Items which do not normally appear in these quests will drop for a limited time. [＊Coat Edge], [＊Coat Doublis], and more! ※The added drops apply to XH difficulty. 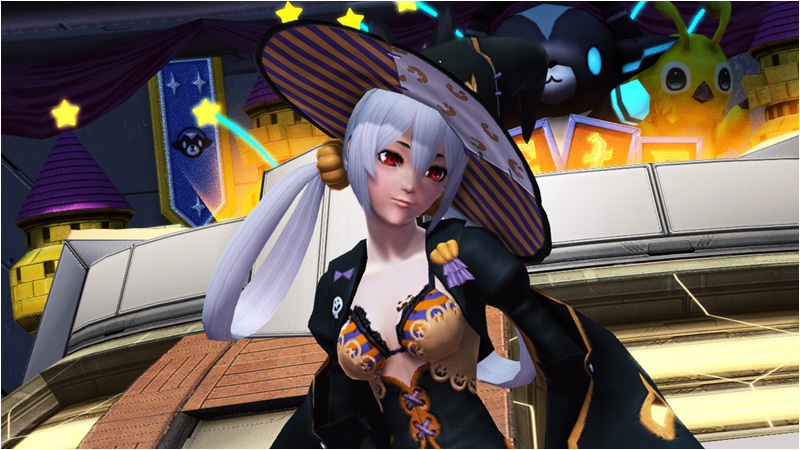 ※The trigger version does not qualify for the event.